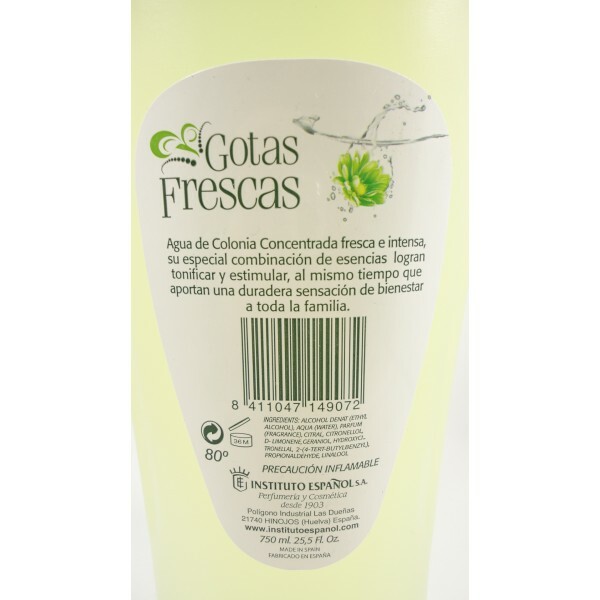 Agua de Colonia Concentrada Gotas Frescas (fresh drops), its special blend of natural essences achieve tone and stimulate while they bring a lasting sense of well being for the whole family. 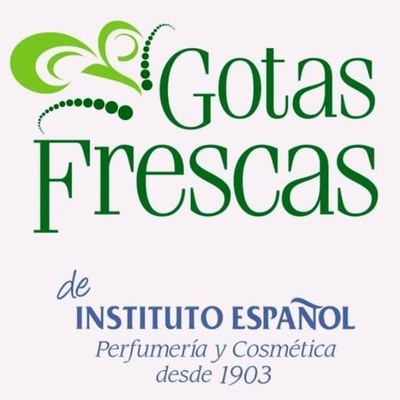 Made by Instituto Español with special care and natural essences, thanks to a high quality product is obtained. 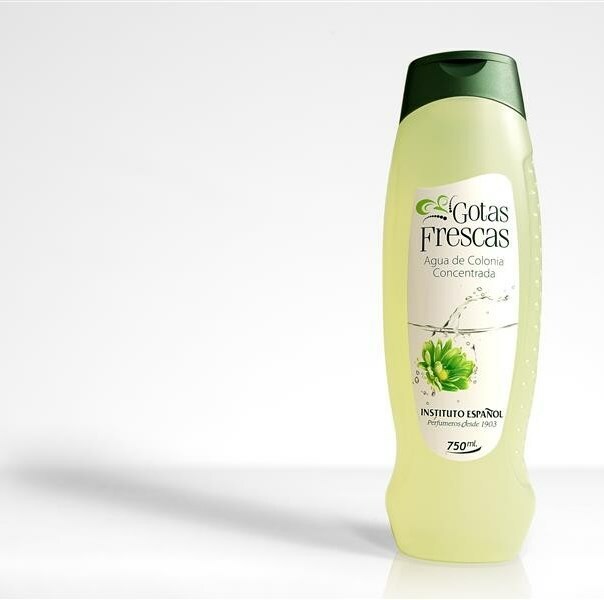 Exposure to light may cause slight changes in color, without altering its quality and aroma. Made by Instituto Espanol with special care and natural essences, thanks to a high quality product is obtained. Exposure to light may cause slight changes in color, without altering its quality and aroma. 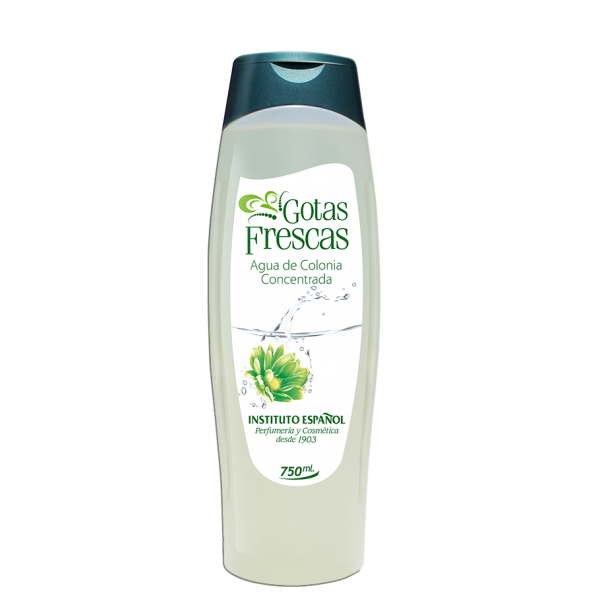 Formats available: 1 bottle 250 ml and 6 bottles display. Agua de Colonia Concentrada Gotas Frescas (fresh drops) by Instituto Espanol, its special blend of natural essences achieve tone and stimulate while they bring a lasting sense of well being for the whole family. 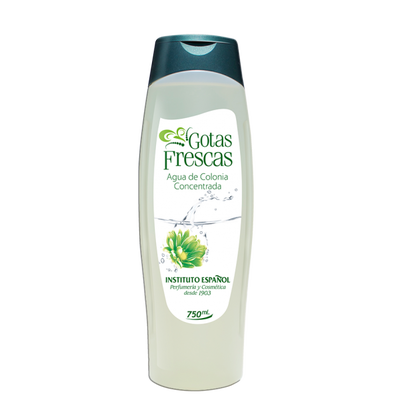 Formats available: 1 bottle 80ml and 12 bottles display.